The cliffs of Bald Knob. Elevation 4,000+ ft.
Delicate white flowers with red and yellow dots are dancing in the mountain breeze at Mountain Lake in Giles County! 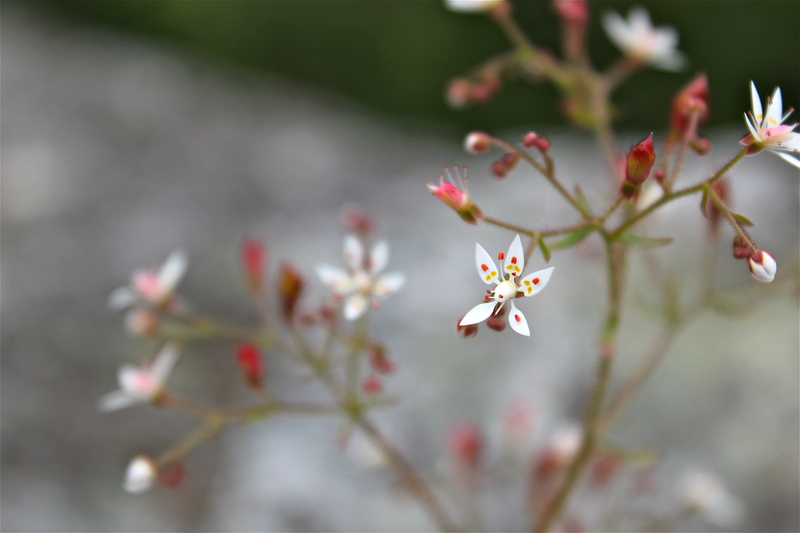 Cliff Saxifrage lives in the tiny cracks between the rocks on Bald Knob, elevation 4,300 ft. Head out for a hike and see this unusual plant in bloom–in late May and June!